COPYRIGHT Music publishing Another Republican candidate in trouble with the law! When will it end?! Following in the footsteps of the many offended songwriters and performers whose songs have been misappropriated by politicians, the composer and publisher of the hit song Eye of the Tiger have sued Newt Gingrich to stop the Republican presidential candidate from using the Rocky III anthem at campaign events. The lawsuit was filed in the US federal court in Chicago by Rude Music Inc., the music publishing company owned by Frank Sullivan, who composed the 1982 song. The lawsuit states that as early as 2009, Gingrich has entered rallies and public events to the pulsing guitar riffs of the song, which was the background track to Rocky Balboa’s training montages in the film and became a No. 1 hit. Hmmmm, my problem here is the halls probably have blanket ASCAP / BMI (PRS) licences so that public use, in itself, isn’t an infringement – although using the music in an advert most certainly would be. – and this may be why the suit mentions the internet videos featuring Gingrich that have been posted online by American Conservative Union who are also are named as defendants…. Why no royalties from Vevo US publisher asks? 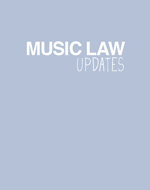 Where next for EU copyright law revisions? Entertainment lawyers lunch, Ek talks big on streaming, Branca adds to the fun, student gets the cheers! PRIVACY Internet, Technology Apple has moved to quell a growing storm over privacy saying that it would ban apps for the iPhone or iPad that collected personal data from users without their prior approval. The move follows revelations that services were collecting personal data including contact email addresses, contract telephone numbers. Path, a social networking app apologised after a researcher discovered it had uploaded his iPhone contacts to its servers. Other offending services included Twitter, Facebook, Foursquare and Yelp. Twitter said it would make it more clear it collected the contact data and stored it for up to 18 months. Facebook said that when it collected data it made this quite clear. But Google has been accused of bypassing Apple’s privacy settings on Apple devices to track internet browsing habits, implementing new codes to override privacy settings on iPhones and iPads. Google has now disabled to code and said no personal information was collected. Remember, these firms are in control of the future of the internet. Frightening! (The Times, February 17th 2012, p8).